One dish which I really enjoyed in Taipei was xiaolongbao. They dumplings, but very much unlike dumplings you would usually find in the States. The filling in the dumpling is made with an aspic, gelatinous soup, that turn into liquid when cooked. The end results is a dumpling that is magically filled with soup. 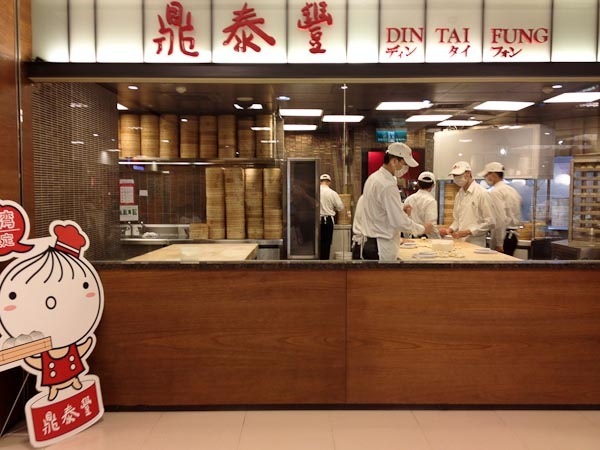 Din Tai Fong is most the most well know place to get them in Taipei. It is also very popular and has turned into an international chain that even has locations in the US. I ended up going 3 times and managed to eat at a different location each time. 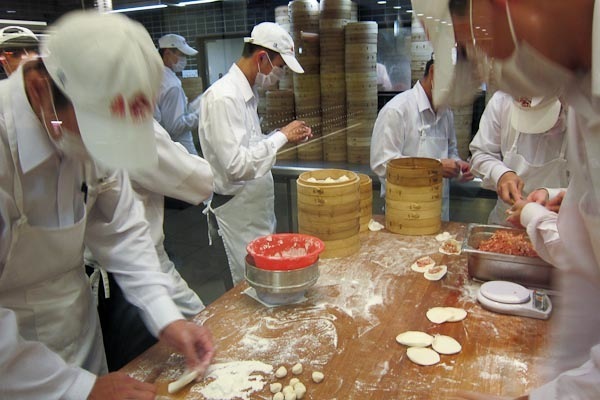 The dumplings are served in a bamboo steamer and come out piping hot. To eat a dumpling, you first dip it in a combo of black vinegar and ginger, then poke holes in it to vent the steam and finally slurp up the yummy soup before eating the dumpling. 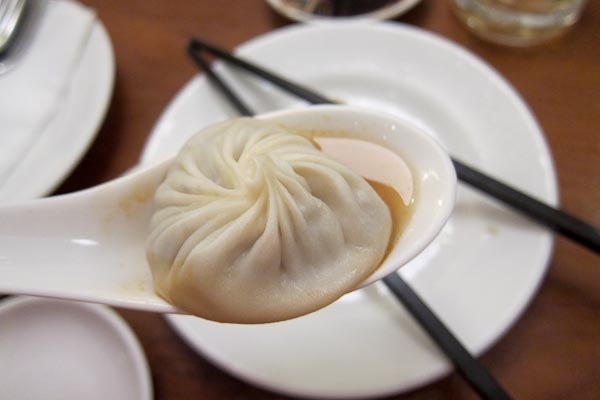 If anyone knows a place to get xiaolongbao in the DC area, let me know! 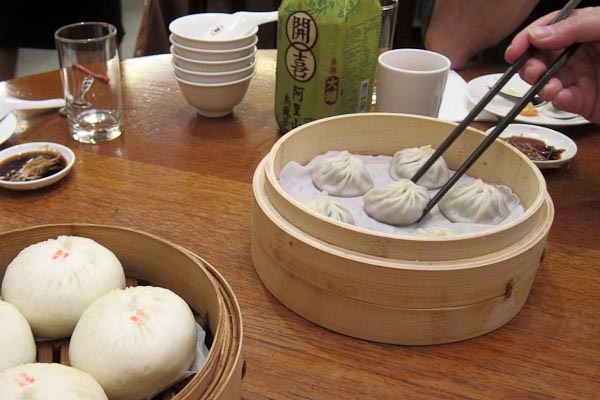 We just ate at Din Tai Fung in Shanghai and LOVED it! I’m so glad you took photos because we didn’t. Photos are great, btw. Ha! It was actually your post on all the great food you had in China that reminded me that I should put a post up on the Xiaolongbao. If you guys start a petition to have Din Tai Fung open a location here, I would definitely sign.